Peter Foster scored 123 for Oundle against Uppingham. Aussie Adam McDermott of Nassington’s 135 from 92 balls was good enough for top spot in the weekly Peterborough Telegraph merit table. 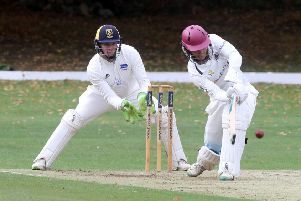 Bourne’s Tom Dixon topped the bowling charts with his 6-45 spell in a losing cause against Peterborough Town. Nick Green scored 85 for Market Deeping at Nassington. Merit table entries are earned by scores of 50 or more or by a bowler taking five wickets or more.